RSGB Criticizes TV Broadcast Portraying Radio Amateur as "Nightmare Neighbour"
ARRL President Emeritus Jim Haynie, W5JBP, of Dallas, Texas, died on November 1, following a period of ill health. He was 73. 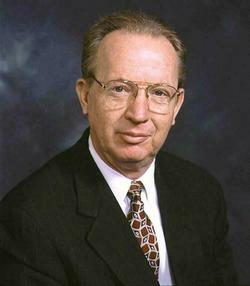 Haynie was elected as the 13th President of ARRL on January 21, 2000, succeeding Rod Stafford, W6ROD (ex-KB6ZV). ARRL President Emeritus Jim Haynie, W5JBP. "Jim was a remarkable individual who made a huge personal commitment to Amateur Radio and the ARRL," said ARRL President Rick Roderick, K5UR. "He had a great sense of humor that was often quite helpful as we addressed some serious matters when Jim was President. His vision guided us to try new things that are helping Amateur Radio and the League to this day." A radio amateur for more than 40 years, Haynie was twice re-elected by the ARRL Board to ARRL's top volunteer office, serving until January 2006, when Joel Harrison, W5ZN, succeeded him. 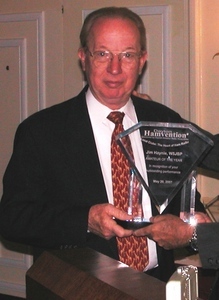 Prior to assuming the ARRL presidency, Haynie was ARRL West Gulf Division Director during two different periods -- from 1987 until 1990 and from 1997 until 2000, and an ARRL Vice President from 1990 until 1992. During his 6 years as president, Haynie focused on promoting Amateur Radio in the classroom, and his ARRL Amateur Radio Education Project -- which he dubbed the "Big Project" -- was an initiative to offer schools a turnkey Amateur Radio curriculum as well as radio equipment. His project eventually grew into the ARRL Education & Technology Program (ETP). A gregarious and accessible individual, Haynie was also skilled at promoting Amateur Radio as often as he could, frequently on the road to attend as many ham radio gatherings as he could squeeze into his schedule, including Dayton Hamvention® each spring. Jim Haynie, W5JBP, was named Amateur of the Year at Dayton Hamvention 2007. Haynie often traveled to Washington, DC, to meet with FCC and other government officials and with lawmakers on Capitol Hill to promote Amateur Radio issues and to communicate concerns. Those included the League's position on deed restrictions or CC&Rs. During his tenure, the Amateur Radio Spectrum Protection Act and the Amateur Radio Emergency Communications Consistency Act -- an early bill to address the CC&R issue -- were introduced in Congress. In 2003, Haynie testified on Capitol Hill on behalf of the Spectrum Protection Act. In 2007, after he had left the presidency, Dayton Hamvention® named Haynie as its Amateur of the Year. Hamvention said Haynie's League leadership "helped define Amateur Radio's role in emergency communication." Read more. Delegates to the 19th International Amateur Radio Union Region 2 (IARU-R2) General Assembly in mid-October adopted ARRL-proposed changes to the Region 2 (the Americas) band plan, as well as other recommended revisions. Representatives of 24 IARU member societies took part in the General Assembly, held in Viña del Mar, Chile, either in person or by proxy. ARRL President Rick Roderick, K5UR, headed the League contingent. Alternate head of delegation and ARRL Second Vice President Brian Mileshosky, N5ZGT, chaired the IARU Region 2 B/C Committee, which handled LF/MF/HF and VHF+ band-planning matters and proposals and made recommendations to the full assembly -- or plenary. "The IARU Region 2 has established this band plan as the way to better organize the use of our bands efficiently," the introduction to the updated document states. "To the extent possible, this band plan is harmonized with those of the other regions. It is suggested that member societies, in coordination with the authorities, incorporate it in their regulations and promote it widely with their radio amateur communities." General Assembly delegates approved minor modifications to band segments and modes of operation within 160, 80, and 15 meters, to align the Region 2 band plan with the Region 1 and 3 band plans, where appropriate. Changes also acknowledged AM operation within band plans where it commonly occurs (e.g., 160 meters), and added narrowband (i.e., 200 Hz bandwidth or less) digital operation to accommodate such modes as WSPR. ARRL President Rick Roderick, K5UR (second from right), confers with members of the Elections Committee. at 13 centimeters and above, with respect to Amateur-Satellite operation -- again, to bring the Region 2 band plan into alignment, as appropriate, with the Region 1 and 3 band plans. The General Assembly unanimously approved the formation of a region-level working group that will interact with Region 2 member societies in order to become better informed of and to track band planning issues, challenges, and opportunities. The working group would interact with corresponding Region 1 and 3 groups toward developing a more global approach to band planning. Driving formation of the working group was a desire to transition Region 2 band planning to an ongoing process, rather than addressing it every 3 years -- especially given the rapid pace of technological development within Amateur Radio. Members of the HF/VHF Committees. Standing (L-R): Cesar Brousek Delboy, OA4CLU; Carlos Rodriguez, CX7CO; Shizuo Endo, JE1MUI; Don Beattie, G3BJ; Christian Buenger, DL6KAC; Ronald Tsoi-a-Fatt, 9Y4RX; Ole Garpestad, LA2RR; Jonathan Siverling, WB3ERA, and Gopal Madhavan, VU2GMN. Seated (L-R): Paulo Hernandes, PT2NP; Flavio Archangelo, PY2ZX; Brian Mileshosky, N5ZGT, and Glenn MacDonell, VE3XRA. Elected members of the IARU Region 2 Executive Committee for new 3-year terms were Reinaldo Leandro, YV5AM, president; Ramón Santoyo, XE1KK, vice president; Jose Arturo Molina, YS1MS, secretary and Area D director; Jay Bellows, K0QB, treasurer and Area B director; George Gorsline, VE3YV, Area A director; Noel Donawa, Area E director; Gustavo de Faria Franco, PT2ADM, Area F director, and Ernesto Syriani, LU8AE, Area G director. The proposal of Radio Club Peruano for Lima to be the venue of the 20th General Assembly in 2019 was adopted unanimously. Read more. The FCC is inviting comments on a Petition for Rule Making (RM-11775) from a Nevada radio amateur that seeks changes to the rules governing the Amateur Radio Vanity Call Sign Program. Christopher LaRue, W4ADL, of North Las Vegas, is proposing that any licensee obtaining a vanity call sign be required to keep it for the full license term. LaRue contends in his petition that excessive and frequent vanity call sign filings are hampering the ability of other qualified licensees to obtain vanity call signs in one of the more desirable 1 × 2 or 2 × 1 formats. LaRue said that since the FCC dropped the fee to file for a vanity call sign, some applicants are taking advantage by regularly obtaining new call signs, thereby keeping them out of circulation. "Some are changing call signs almost monthly, just to keep the newer code-free Extra class operators from obtaining a shorter call sign," he said in his petition. "I even saw an older operator that said he does it all the time and has not even owned a radio in over 6 years. When I looked him up, he has had 16 different [call signs] in 18 months." LaRue said his proposed minor rule change would require any licensee applying for and obtaining an Amateur Radio vanity call sign "be required to keep it for the duration of the license, which is currently 10 years." He said this would "alleviate a lot of the stress on the ULS system and manpower requirements" at the FCC. "It will also keep inactive amateurs from changing call signs regularly, thereby tying up call signs for 2 years after dismissal of said call." Interested parties may comment using the FCC Electronic Comment Filing System (ECFS). Comments are due within 30 days of the October 26 posting date. "Anderson Powerpole Connectors, and Antenna Polarization" are the topics of the latest (November 3) episode of the "ARRL The Doctor is In" podcast. Listen...and learn! Sponsored by DX Engineering, "ARRL The Doctor is In" is an informative discussion of all things technical. Listen on your computer, tablet, or smartphone -- whenever and wherever you like! Every 2 weeks, your host, QST Editor in Chief Steve Ford, WB8IMY, and the Doctor himself, Joel Hallas, W1ZR, will discuss a broad range of technical topics. You can also e-mail your questions to doctor@arrl.org, and the Doctor may answer them in a future podcast. Enjoy "ARRL The Doctor is In" on Apple iTunes, or by using your iPhone or iPad podcast app (just search for "ARRL The Doctor is In"). You can also listen online at Blubrry, or at Stitcher (free registration required, or browse the site as a guest) and through the free Stitcher app for iOS, Kindle, or Android devices. If you've never listened to a podcast before, download our beginner's guide. With just 2 months left in the ARRL National Parks on the Air (NPOTA) program, the push for 1 million contacts from eligible NPS units remains strong. November 1 saw the 800,000th contact uploaded to Logbook of the World, breaking 25,000 contacts for the second straight week. ARRL Media and Public Relations Manager Sean Kutzko, KX9X, and QST Managing Editor Becky Schoenfeld, W1BXY, were interviewed by NPS Ranger Bill Urbin during their September NPOTA activation of Eleanor Roosevelt National Historic Site (NS14). Video of that interview is available on the ARRL Facebook page. Thirty-two activations are on tap for November 3-9, including Big Bend National Park in Texas, and Everglades National Park in Florida. Details about these and other upcoming activations can be found on the NPOTA Activations calendar. Keep up with the latest NPOTA news on Facebook. Follow NPOTA on Twitter (@ARRL_NPOTA). The National Geographic has produced A Guide to Ham Radio to support its recently released digital short, Before MARS -- a prequel to its upcoming MARS series. The 33-minute prequel, which has a heavy Amateur Radio theme, provides the backstory of two principal characters in the upcoming MARS global event series. In the prequel, twin teenaged sisters Hana and Joon Seung are the new kids in town, after their single mother relocates. In due course, they come across old ham radio transceivers -- one in an attic, the other in a thrift shop -- and use them to communicate with each other and with an older, local ham. Tuning about, Hana -- whose character gets most of the attention -- hears an astronaut on the International Space Station (ISS) on her radio and eventually makes contact, as Amateur Radio on the International Space Station (ARISS) program participants do. In a touch of realism, the female astronaut uses the NA1SS call sign. The Amateur Radio researcher on the film was veteran electrical engineer Michael Gilmer, N2MG, who said the producers contacted him through his connection with the eHam.net website. Patrick J. Kiger authored the online guide. Gilmer concedes that the depictions of Amateur Radio in the production take a few liberties, although he believes that non-hams will likely overlook these and focus instead on the story arc of self-discovery and relationships within a theme of young women becoming interested in science and scientific careers. The sisters' exposure to ham radio helps to inspire them to pursue careers in space exploration, become astronauts, and take part in a 2033 mission to Mars. MARS, which premieres on November 14, will include documentary sequences about real-life efforts to travel to and colonize Mars. 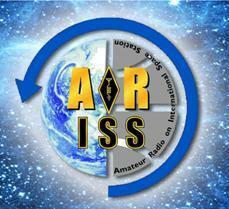 ARISS-International will celebrate its 20th anniversary when it meets in Houston on November 15. ARISS International Chair Frank Bauer, KA3HDO, noted that an international group interested in installing and operating an Amateur Radio station on the International Space Station first met in November 1996 at the NASA Johnson Space Center in Houston, and the Amateur Radio on the International Space Station (ARISS) program was born. "And the rest is history!" he said. The ARISS-I meeting agenda has been divided into three categories -- Hardware Development, Education, and Sustainability and Funding, with concurrent sessions in two categories. Plenary sessions attended by the entire ARISS team will offer opportunities to discuss broader topics. Three crew members on the International Space Station (ISS) -- two of them radio amateurs and ARISS contact participants -- said farewell to the orbital outpost on October 29. Expedition 49 Commander Anatoly Ivanishin and Flight Engineers Kate Rubins, KG5FYJ, and Takuya Onishi, KF5LKS, returned to Earth on October 30, landing safely in Kazakhstan, after wrapping up 115 days in space since their July launch. Together, the Expedition 49 crew members pursued hundreds of experiments in biology, biotechnology, physical science, and Earth science aboard the orbiting laboratory. 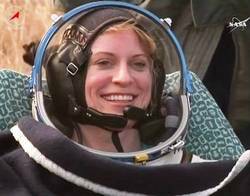 Rubins became the first person to sequence DNA in space, and she contributed to several new studies taking place aboard the ISS. The ability to sequence the DNA of living organisms in space could enable astronauts to diagnose an illness, or identify microbes growing in the space station and determine whether they represent a health threat, NASA said. Expedition 50 Commander Shane Kimbrough, KE5HOD, and crewmates Sergey Ryzhikov and Andrey Borisenko will operate the station for 3 weeks until the arrival of Peggy Whitson, KC5ZTD; Thomas Pesquet, KG5FYG, and Oleg Novitsky. They are scheduled to launch on November 17 from Kazakhstan. "Grid Madness" in Hawaii -- where radio amateurs operate VHF and UHF simplex to work as many others as they can reach -- is growing. The number of logs for the 2016 event on September 18 was double last year's figure. Twenty-three more stations took part, and they made 150 more contacts than in 2015. "This has proven to be a popular event in the islands," said a news release from ARRL PIO Darren Holbrook, KH6OWL. "Grid Madness is about islands, mountains, ocean, and radio signals." Eric Agrigado, WH6EZE, operated as a rover -- seen here in the Puna District of the Big Island -- making 41 contacts and activating 7 grids. The inset shows his gear. Sponsored by the Aulani Hui Amateur Repeater Club, the 4-hour event is open to all, from mobiles and fixed stations to those operating with a handheld. The first place mobile this year was operated by Steve Kawamae, KH6WG, from his truck on Mauna Kapu on Oahu at an elevation of 1,800 feet. He also set the record for the longest simplex contact at 211 miles on 2 meters and 70 centimeters, from Oahu to the Big Island -- the longest contact in the 3-year history of Grid Madness. Peggy Gentle, KE6TIS, placed first in the fixed-station category. Event manager Stan Froseth, AH6KO, said he never heard so many stations on 146.52 MHz from his mobile perch at the Mauna Loa Weather Observatory, some 11,000 feet above sea level. Todd Wilson, WH6DWF, operated from Tantalus Lookout on Oahu, powering his station with golf cart batteries charged by solar panels and a wind turbine. "Other hams were checking out my setup, and so did visitors to the park where [two other operators] and I had set up," Wilson said. "We are also getting the public thinking more positively toward Amateur Radio when we do events in public places." The Radio Society of Great Britain (RSGB) has weighed in following the airing of a Channel 5 TV Nightmare Neighbour Next Door episode [The program may have been removed from the website -- Ed.] that featured an Amateur Radio operator. In the program, neighbors of 75-year-old Armando Martins, M0PAM, of Kent, made unsubstantiated claims that RF radiating from his 30-foot vertical antenna was detrimental to their health. "Unfortunately, the RSGB was not invited to be part of Channel 5's Nightmare Neighbour Next Door programme or to verify any facts," the RSGB said. "We have, of course, contacted Channel 5 about our concerns and have highlighted the positive aspects of Amateur Radio. We have also offered our expertise and input for future programmes where Amateur Radio is mentioned." Channel 5 broadcast the offending episode on October 27, and it drew criticism from radio amateurs across the UK, some of whom may have used a program complaint service form provided by telecommunications regulator Ofcom. Critics complained that the program was replete with false claims and noted that Ofcom has never found any problems with Martins' station. A radio amateur for more than 60 years, Martins was first licensed as CR6IL in Portuguese West Africa (Angola). Read more. According to media accounts, more long-range, new over-the-horizon (OTH) radars that can identify aerial and sea targets hundreds of miles away are scheduled to begin operation next year in the Russian Arctic. 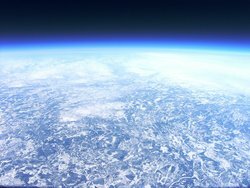 It's doubtful, however, that the news heralds the return of interference on the level of that generated by the so-called "Russian Woodpecker" OTH radar, which plagued Amateur Radio HF bands in the 1970s and 1980s. Over the past couple of years, OTH radars, sans woodpecker, have become increasingly commonplace intruders on Amateur Radio bands, according to the International Amateur Radio Union Region 1 (IARU R1) Monitoring System (IARUMS), which has noted OTH radars in Russia, China, Cyprus, Iran, and Turkey. The Russian systems-intelligence "Konteyner RLS" OTH radar, transmitting from the Nizhny Novgorod region, is frequently spotted on 20 meters. While no woodpecker, it transmits a broad, frequency-modulated CW signal at 50 sweeps per second with a bandwidth of 80 kHz or greater, accompanied by signal splatter, IARUMS Coordinator Wolfgang Hadel, DK2OM, reported recently. The Konteyner receiving site southeast of Moscow. Sputnik, a Russian government-controlled radio service, cited a Rossiiskaya Gazeta newspaper report that six OTH radar installations will operate in the region. Deputy Defense Minister Dmitry Buklgakov, who visited the construction site, said a runway capable of handling all types of combat aircraft was simultaneously being reconstructed nearby, the report continued. Other reports have indicated that similar systems will be deployed in the far east in 2018. Read more. Authorities in Georgia recently arrested two men who said they were planning to attack the High Frequency Active Auroral Research Program (HAARP) facility near Gakona, Alaska. Michael Vickers, a detective with the Coffee County Sheriff's Office, told Alaska Dispatch News that the pair explained to authorities "that God told them to go and blow this machine up that kept souls, so souls could be released." Part of the massive antenna field at the HAARP facility near Gakona, Alaska. The row of white structures contains individual transmitters. "Yes, that news caused a bit of a stir," said Chris Fallen, KL3WX, a faculty member at the University of Alaska-Fairbanks (UAF), which now operates the HAARP facility. "I can also confirm that no souls are stored at HAARP." 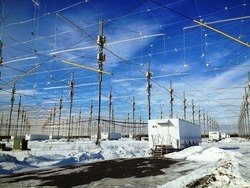 Long of interest to the Amateur Radio community as well as a target of various mind- and weather-control conspiracies, HAARP is now operated as an ionospheric research facility by UAF, which took it over last year from the US Air Force. Police seized a "massive" arsenal of weapons the individuals had apparently planned to use in attacking the remote facility. According to a WALB TV news account, investigators discovered the plot after they began looking into possible drug sales by one of the men. A local gun shop also alerted authorities that the same individual was attempting to buy a large number of weapons. The two men, who face domestic terrorism charges, also were charged with selling drugs, and they could face other charges. The Fall 2016 edition of Radio Waves now is available. The ARRL publication focuses on news and articles of interest to educators and instructors. The fall issue announces the launch of the new Instructor Recognition Program. A tutorial explaining the management information features of the program is available on YouTube, and Section Managers are encouraged to check it out. Other highlights of the fall issue are "Building Blocks Illustrate Basic Electronics," "Ham Radio Flies High as Summer Camp at Kopernik Observatory," an update on recent ARISS activities, Instructor Corner -- News, Ideas, Support, ARRL Education & Technology Program news, and a report on the 2016 summer Teachers Institutes. To receive Radio Waves, register as an ARRL Instructor or Teacher, or edit your personal profile and select Radio Waves as one of your e-mail subscriptions. Propagation observer Carl Luetzelschwab, K9LA, recently offered some "deep thoughts" on the Top Band Reflector. As he explained, while less geomagnetic field activity heading into winter bodes favorable 160-meter propagation, more galactic cosmic rays entering our atmosphere could become a factor. 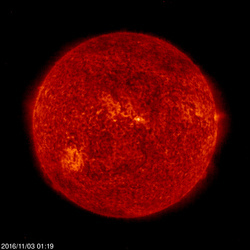 "The Sun's magnetic field is weakening, probably to the lowest levels in our lifetimes," Luetzelschwab said. "With a weak solar magnetic field, more galactic cosmic rays will be able to get into Earth's atmosphere. We are now seeing unprecedented high neutron counts (neutrons are one of the byproducts of cosmic rays). Since galactic cosmic rays are mostly very energetic protons, they can get down to low atmospheric altitudes, causing collisional ionization in the D region and lower E region." He said a cursory estimate using cosmic ray ionization rates confirms greater ionization in the lower atmosphere, and 160 meters is not too tolerant of more absorption. Nate Brightman, K6OSC, called the "spark" behind W6RO, the Amateur Radio station aboard the Queen Mary in Long Beach, California, died on October 29. He was 99. 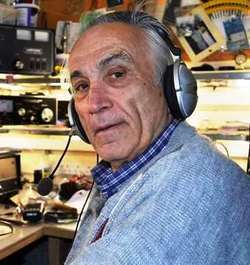 An ARRL member, Brightman, who lived in Long Beach, had served as the W6RO Wireless Room Manager for 34 years, plus another 10 years arranging for the GB5QM "Last Voyage" Amateur Radio operation and establishing W6RO, which is licensed to the Associated Radio Amateurs of Long Beach. In 2013, Brightman reluctantly resigned as W6RO Wireless Room Manager, citing recent illness and his advanced age as reasons for his decision. In his farewell statement, Brightman said ham radio operations now aboard some 90 museum ships such as the Queen Mary have introduced Amateur Radio to millions of people. "This means of introducing Amateur Radio to the public is the biggest publicity stunt ever for Amateur Radio, and we should be proud that it all started with W6RO!" he said. In the process of spearheading Amateur Radio aboard the Queen Mary, Brightman balanced the tasks of recruiting hundreds of operators, garnering equipment donations from leading manufacturers, and maintaining excellent relations with "The Queen's" management. 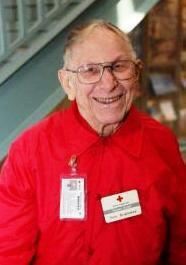 He earned an ARRL Special Service Award for his efforts in 2004. Read more. Tad Cook, K7RA, Seattle, reports: Over the October 27-November 2 reporting week, there were 2 days with no sunspots -- October 28 and November 2. The average daily sunspot number was 9.1, down from 18.7 from the previous 7 days. The average daily solar flux rose, but only slightly, from 76.9 to 77.5. Geomagnetic indicators were slightly lower, with the average daily planetary A index declining from 20.3 to 18.1, and the mid-latitude A index from 16.7 to 13.4. Predicted solar flux is 75, 74, and 72 on November 3-5; 70 on November 6-7; 75, 80, and 78 on November 8-10; 80 on November 11-12; 78 and 75 on November 13-14; 73 on November 15-16; 78 on November 17-18; 77 and 75 on November 19-20; 78 on November 21-22; 80 on November 23-25; 78 on November 26; 80 on November 27-29; 78 on November 30; 82 on December 1-3; 80 on December 4-5; 78 on December 6-7, and 80 on December 8-9. Predicted planetary A index is 8, 10, 8, and 6 on November 3-6; 5 on November 7-10; 10, 15, 18, 10, and 8 on November 11-15; 5 on November 16-18; 8, 15, 54, 42, and 24 on November 19-23; 18, 22, 18, 15, and 12 on November 24-28; 8 on November 29-December 1; 5 and 8 on December 2-3, and 5 on December 4-7. Sunspot numbers for October 27 through November 2 were 12, 0, 16, 12, 12, 12, and 0, with a mean of 9.1. The 10.7 centimeter flux was 78.9, 79.2, 79.1, 76.2, 76.7, 76.5, and 76, with a mean of 77.5. Estimated planetary A indices were 28, 17, 27, 18, 11, 11, and 15, with a mean of 18.1. Estimated mid-latitude A indices were 18, 16, 18, 13, 8, 9, and 12, with a mean of 13.4. Send me your reports and observations. See the ARRL Contest Calendar for more information. For in-depth reporting on Amateur Radio contesting, subscribe to The ARRL Contest Update via your ARRL member profile e-mail preferences. Find conventions and hamfests in your area. Amateur Radio News and Information. Listen to ARRL Audio News, available every Friday. NCJ -- National Contest Journal. Published bimonthly, features articles by top contesters, letters, hints, statistics, scores, NA Sprint, and QSO Parties. QEX -- A Forum for Communications Experimenters. Published bi-monthly, features technical articles, construction projects, columns, and other items of interest to radio amateurs and communications professionals. Subscribe to the ARES E-Letter (monthly public service and emergency communications news), the ARRL Contest Update (bi-weekly contest newsletter), Division and Section news alerts -- and much more! Find ARRL on Facebook! Follow us on Twitter and Instagram! The ARRL Letter is published Thursdays, 50 times each year. ARRL members and registered guests may subscribe at no cost or unsubscribe by editing their profile. Copyright © 2016 American Radio Relay League, Incorporated. Use and distribution of this publication, or any portion thereof, is permitted for non-commercial or educational purposes, with attribution. All other purposes require written permission.